← In Bosque Bello history unfolds . 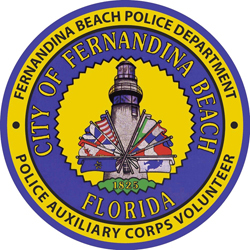 . .
December 14, 2018 12:30 p.m.
Three projects have recently passed technical review in the city of Fernandina Beach and are now on their way to finalize building permits. Look to see work begin early in the new year on transforming the former First Baptist Church School building on North 5thStreet into Lofts on 5th condominiums. Skilling Architects are putting their final touches on the building permit application. Owners began work on this project in 2016, and received final approval from the city’s Historic District Council in August 2018. Another project that has piqued community interest is a condo/retail project that will occupy the northwest corner of Atlantic Avenue and North 11thStreet. Replacing what had been a gas station/convenience store at 1015 Atlantic Avenue, this project will be new from the ground up. It is located in the Central Business District outside the Historic District. Onsite parking will be provided. Owners appear eager to begin work on this project, which began its city review earlier this year. New building will occupy most of the corner property with retail fronting Atlantic Avenue. The TRC also provided final sign-off at their December 13, 2018 meeting to a project known as Skyway Amelia, a two-building, 14,225-square-foot office-warehouse project on 2.06 acres at Amelia Road and Amelia Island Parkway in Fernandina Beach. Gillette & Associates Inc. is the project engineer. Plans indicate there will be a multitenant 11,425-square-foot office-warehouse building and a 2,800-square-foot office building.